Musa Madonsela is the new manager of Life Chatsmed Garden Hospital. 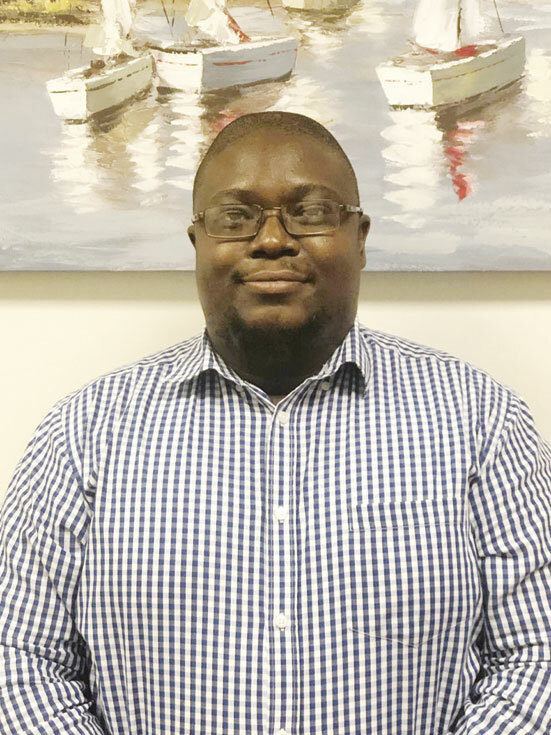 The dynamic 33-year-old, who is passionate about rugby and healthcare, shared his journey and aspirations with The Chatsworth Tabloid. CT: Can you tell us about your upbringing? MM: I was born in a small township called Hammarsdale. During those times there was a bit of political tension and we relocated to Pinetown. It was during the time when the country was transitioning from apartheid to democracy and I still remember being the only black child in my classroom. It was a good time to grow up in South Africa as there was a lot of positivity but there were a lot of reminders about the past. As a child, I did not have any difficulties and I had a lot of friends from different race groups. CT: What does your new role entail? MM: If you think about a president, they have to look after every aspect of the country. My mandate is to grow and improve the hospital in terms of the services that we are providing. CT: How have your experiences been working in Chatsworth so far? Life Chatsmed Garden Hospital. It has received the unofficial title of being a community-based hospital, meaning that it is a hospital for the locals. It is not unusual for patients to greet me. I had never experienced this in the past. CT: Are you a dog or cat person and why? MM: I am definitely a dog person. I like the fact that they are loyal. I have had two dogs and they would take guard over me. They are also engaging. Cats are very distant and independent and you do not get to have fun with them. CT: Considering your demanding schedule, how do you make time for your family? and they will see me a lot once that child is born. CT: Tell us about your past roles before you took this one? MM: I helped to formally open the Richards Bay Medical Institute in January 2014. I came in during the latter stages of construction and was very grateful for that opportunity. It allowed me to learn by trial and error. It was a hospital which was geared towards oncology. Many people do not know that cancer is one of the dangerous diseases to have in this country. We had one of the most advanced radiation therapy machines in that hospital and people flew in from all over the country. because I can make indirect decisions which save lives. CT: What is your long-term vision for Life Chatsmed Garden Hospital? MM: The hospital has already achieved a lot. We have world class doctors. It is well-esteemed in the medical industry. My vision is to make healthcare as affordable as possible without compromising on the quality of medical care.